What It’s About: An American corporation excavates…something…from deep within the mountains of Finland. Around the same time children begin to disappear…what have the Americans unwittingly unleashed…and what does it have to do with Santa Claus? Why Watch it Today? : The American excavations begin on December 1st. 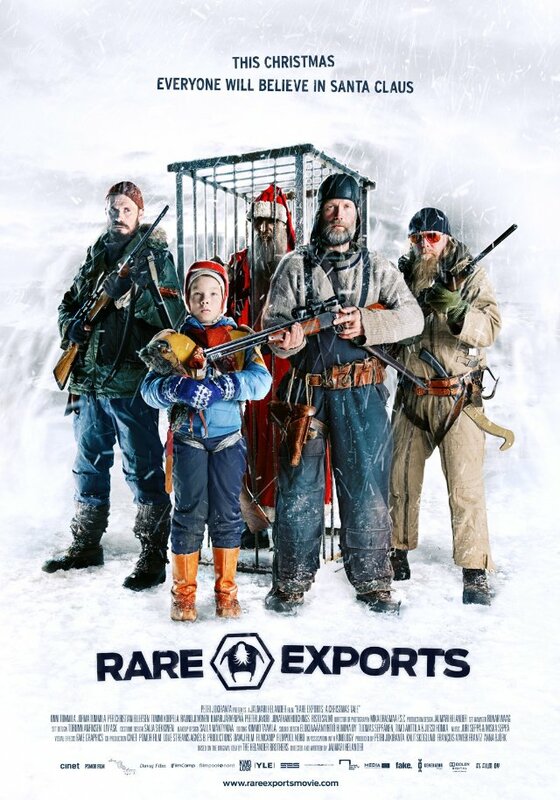 While Rare Exports doesn’t quite live up to either the hype that surrounded it when it was initially released, nor the full potential of its premise, it remains an entertainingly different holiday movie to start the season off with, a unique blend of holiday, horror, and comedy. This entry was posted in Adventure, Comedy, Demons, Fairy Tale, Fantasy, Holiday, Horror, Monster, Movie of the Day, Remake and tagged "truth behind the fairy tale", Christmas, Christmas Eve, fairy tale, father, father-son relationship, Finland, hunters, Santa Claus, single father, snowmobile, ugly Americans.